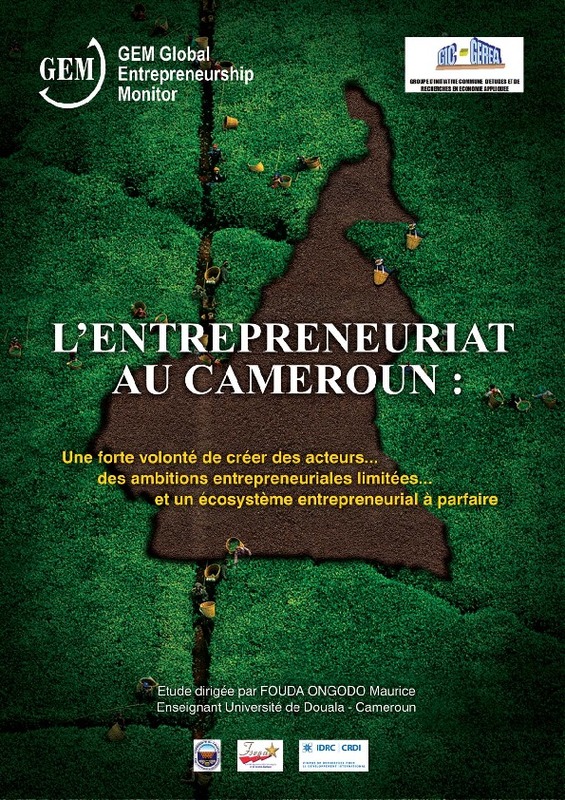 According to the results of the first Global Entrepreneurship Monitor survey conducted in the country in 2014, Cameroon presented the highest rate of Total Early-stage Entrepreneurial Activity (TEA) among 70 countries. One in every four adults is involved in early-stage business activities (above the average for factor-driven economies of 21 %), while a further 12.8 % are established business owners/mangers. About a third of the adults population plans to start a business in the next three years. Over 60% of Cameroonians perceive that the country has good conditions to start a business (driven in part by average economic growth of 4.7% between 2010 and 2014, while 73.1% believe they have the capabilities to undertake entrepreneurial activities. Only 23.9% of the adults population express a fear of failure when it comes to starting a business. However, only 13% of entrepreneurs in the country believe that they will create six or more jobs over the next five years, which means that most of the businesses formed create minimal employment opportunities. In spite of these success stories, the country does not have the environment conditions capable of promoting and sustaining the development of entrepreneurial activities. In fact, the country’s business discontinuation rate is one of the highest in Africa. The country has also one of the lowest rates of opportunity – based early-stage entrepreneurial activity, which is below the African average, and has one of the lowest numbers of innovators in Africa. Entrepreneurship in Cameroon is failing to thrive due to the entrepreneurial ecosystem; poor infrastructure, market entry barriers and poor internal market dynamics. However, the country fares well in terms of legal and commercial infrastructure, government support programmes and post-school entrepreneurial education. The agricultural sector offers a real chance for Cameroon to promote opportunity-driven entrepreneurship, with a large percentage (43.3% in 2014) of youths aged 15 and above employed in this sector. The latest evaluation of trade policies in Cameroon by the World Trade Organisation (WTO) in 2013 revealed that agriculture offers the highest opportunities capable of improving exports growth. The WTO also noted that the country had begun diversifying its activities, mainly in cocoa nurseries, the supply of seeds, and the cultivation and transformation of cassava. The government has put in place a number of programmes to promote entrepreneurship in agriculture. Recently, the state launched Agropoles programmes which aim to promote second-generation agriculture. The government provides various support to the farmers that use modern techniques to improve their production. This programme created in August 2012 by the Ministry of the Economy, Planning and Regional Development, offers support in different agriculture sectors namely plant sectors, livestock, fisheries and forestry. Government subsidies to run the programme amount to over 11 billion CFA francs (US$18.6 million) for the year 2016. Despite the fact that Agropoles is still in its early stages, the programme has been created more than 20 operational agropoles activities and at least 250 companies in different sectors. While the promotion of agriculture can improve the development of entrepreneurship in the country, its success is reliant on the government. By making it easier for entrepreneurs to access financial support. The agricultural bank, which was created in 2013, aims to reduce farmers’ difficulties to access required financial resources, but the bank is not yet operational. Currently, farmers struggle to access financial resources despite the creation of a microfinance institution by the chambers of commerce. In addition, there is a need to put in place better strategies for the monitoring of projects, to ensure the development of entrepreneurial activities in the country. La première enquête GEM au Cameroun a permis de mettre en perspective trois (3) constats pertinents : le Cameroun est un géant dans l’entrepreneuriat émergent, mais un nain quant au développement d’un entrepreneuriat ambitieux, parfaire l’écosystème entrepreneurial apparait alors comme une nécessité.